Returning to the Surrey Wedding Fairs to create a magical catwalk show is professional dancer and top London Theatre school teacher Lynne Thomas. Compared by our toastmaster, models will show off collections from some of the best dress shops represented at the Wedding Fair. 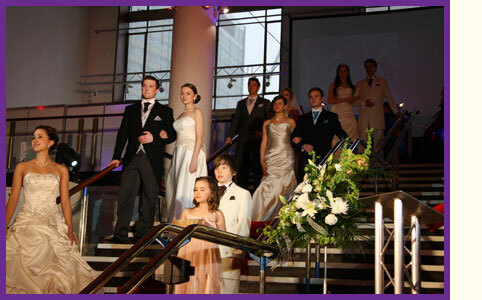 The catwalk show is always the highlight of any wedding fair and ours is no exception! Live classical musical mixed with popular first dance hits ensure you leave the show in an upbeat mood, ready to choose your special dress! All dresses on the catwalk are available at the fair and staff from each shop will be on hand to assist you with any questions. For the men… a selection of suits in classic and contemporary colours will be on show. 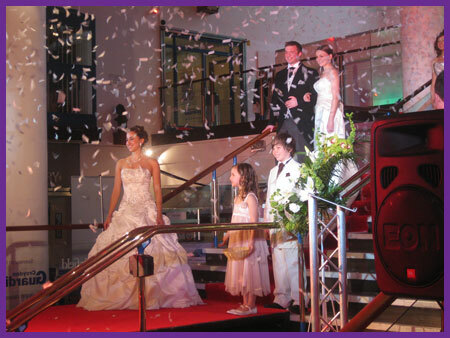 The Surrey Wedding Fair Catwalk Show, 12 noon & 2pm – each show is guaranteed to end with a bang!